Landscaping with Flagpoles or Where should I put the flagpole? 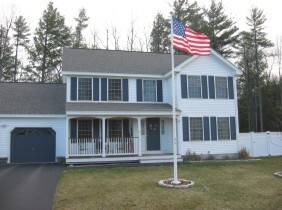 When you purchase a flagpole to fly the American flag you should consider the installation as a landscaping project. First take a look at your yard and home in combination with garage and driveway, the big picture. Now ask the question, where should I put the flagpole? Remember balance! 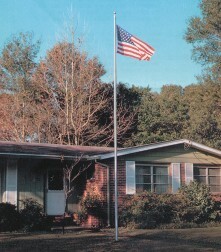 Different height flagpoles will look better at different distances from the home. Some homes lend their features to the right or left of the home, some right in front, with others in front of the breeze way. All in all this is you first and main consideration. Please consider the first and second rule when determining a location. This entry was posted in Flagpoles, Uncategorized and tagged aluminum flagpoles, american flags, fiberglass flagpoles, flagpoles, home flagpoles, house flag, house flagpole, in-ground flagpoles, Landscaping, residential flagpole on April 2, 2013 by admin.